DO YOU HAVE LOW POROSITY HAIR? Does your hair seem to always be dry no matter what you do?Do products seem to buildup on your hair easily or sit on top of your hair and never fully absorb?Does it takes your hair FOREVER to dry?When you used to get a relaxer did it never “take”? If you can relate to those last four questions, then you more than likely have low porosity hair. For many people, dealing with their low porosity hair is extremely frustrating. I’ve heard so many women threaten to go back to the creamy crack because it is just too difficult to figure out. No worries! I’m writing this article for you all out there! 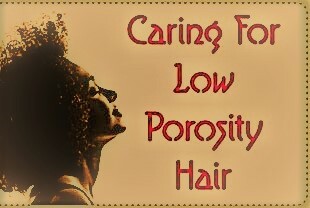 In the previous article, (click here to read) I listed 3 methods in which you can test the porosity of your hair and the different levels of porosity: low, normal and high. In this article I’ve compiled a list of tips and methods to use in each step of your hair care routine if you have low porosity hair. Keep scrolling for more info. The porosity of your hair is one of it's characteristics that actual matter. It determines the processes it takes to care for your hair such as water temperature, suitable products, styling options, etc. It is the characteristic that truly determines if a product enhances the natural state of your hair, or detracts from it. One can have low, normal or high porosity hair. Keep reading to find out 3 different methods you can use to test your own porosity. THE CUP TEST This test should be done on freshly shampooed hair to be sure the hair is completely free from any product or buildup. You simply fill a cup with room temperature water and place a strand of clean hair into the water. After 2 minutes, check the location of the hair strand. What Hair Characteristics ACTUALLY Matter? 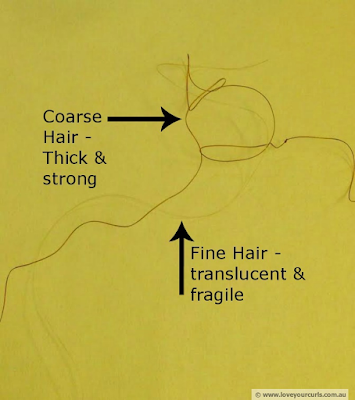 vThe diameter of your individual hair strands (coarse, normal, or fine). Check out my latest video! I’m doing my wash & go routine while reviewing Marvel Comics Universe’s new movie: Black Panther! By now I am sure most of you have seen it, but I still tried to keep spoilers to a minimum. This is a long video, so get a snack and enjoy! Thanks for watching ❤️. I know everyone has seen Kim Kardashian’s picture that was taken while she was getting a “Vampire Facial.” To make a long story short a real “Vampire Facial” is when a dermatologist performs a standard microdermabrasion procedure then applies a layer of your own platelet rich plasma onto your skin afterwards. I’m calling this the “Faux Vampire Facial” because the only similarities are the color and the fact that heavy duty exfoliation is taking place. If you are willing to pay $1000 for a real “Vampire Facial” at a dermatologist’s office, please do. But, if a less than $8 option sounds like a better deal…keep reading!